The following article by Glenda Mathes appeared on page 15 of the August 24, 2011, issue of Christian Renewal. 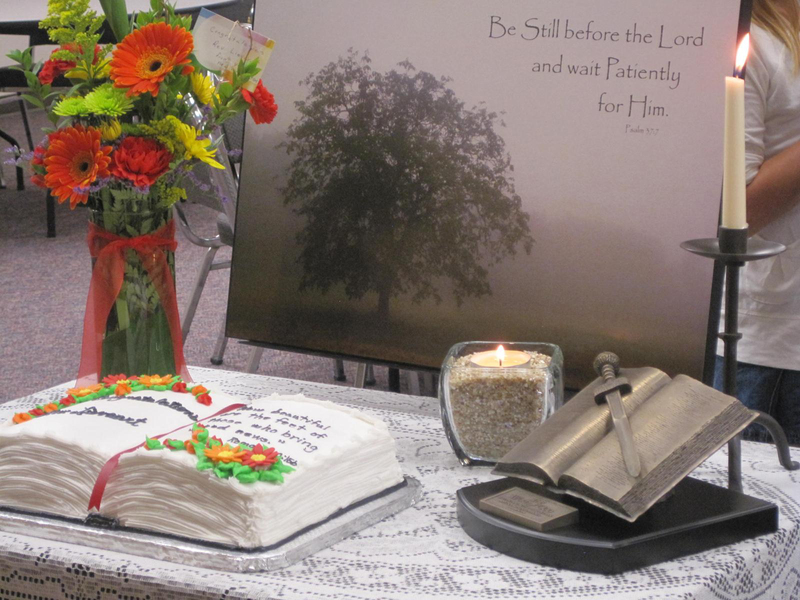 After two and half years of waiting on the Lord, faith became sight for the Doon United Reformed Church congregation in Doon, IA, when they witnessed Rev. Simon Lievaart ordained on June 29, 2011. About 125-150 people attended the ordination service, led by Rev. Todd De Rooy (Redeemer URC in Orange City, IA), who preached from 1 Thessalonians 2:1-8 on “Gospel Ministry with Gentleness.” He expanded on the theme “Paul defends the gospel ministry against false notions of ministry” by showing from verses 5-6 that gospel ministry is not seeking earthly gain, and from verses 7-8 that gospel ministry is serving with heavenly gentleness. Rev. 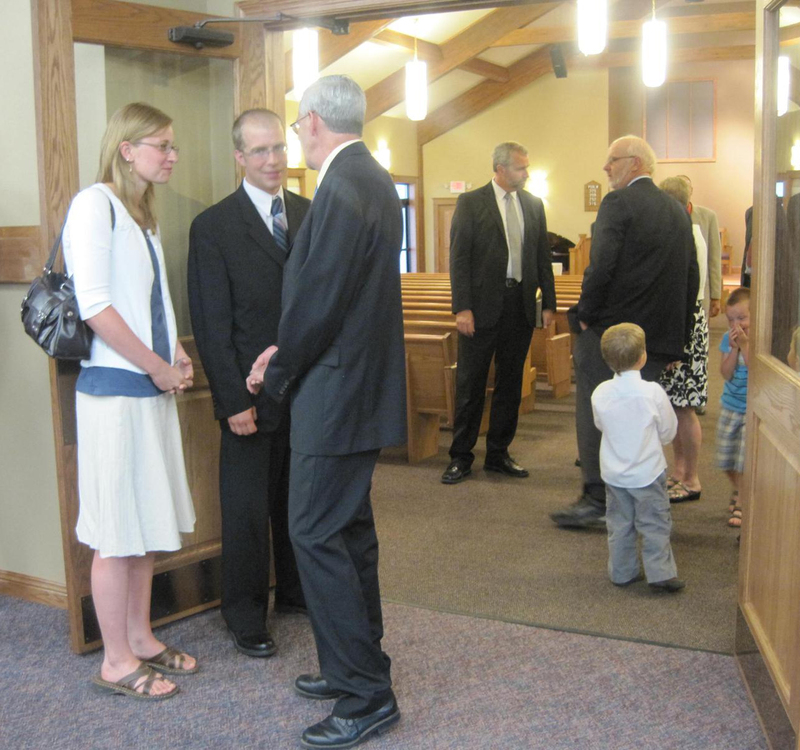 Larry Johnson, Doon URC’s former pastor and current pastor of the Covenant URC church plant in Prinsburg, MN, gave the charge to the minister from 1 Corinthians 13:1-7. Rev. Bradd Nymeyer, pastor of Sioux Center URC in Sioux Center, IA, gave the charge to the congregation from 1 Thessalonians 2:13. The newly ordained Rev. Simon Lievaart pronounced the benediction before the audience gathered for a time of fellowship. Simon and his wife, Jodi, were married in January of 2006 and graduated from Redeemer University College in Hamilton, ON, in April of that same year. They have two children: Joash, born in 2007, and Sophia, born in 2010. A 2009 graduate of Mid-America Reformed Seminary, Simon accepted the call to Doon in July of 2010, and sustained his ordination exam in September of 2010.